Apple iPhone X - 256GB Silver. 7 days change of mind return. Custom Curved Fit: Meticulously curved edges offer a precise fit ideal for curved screens. Smooth, All-Clear Design: Smooth tempered glass and precisely curved edges feature design that’s ahead of the curve. Impact and Scratch Protection: Glass Curve helps preserve every pixel with maximum impact and scratch protection. Precision Touch Sensitivity: Rigorously tested materials deliver a smooth, premium composition, remarkable touch sensitivity, and high-definition image clarity. Smudge Resistant: A long-lasting, oil-resistant design helps prevent fingerprints and smudges. Limited Lifetime Warranty: If your Glass Curve ever gets worn or damaged, we will replace it for as long as you own your device*. Case-friendly Fit: The Glass Curve fits most Samsung Galaxy S8+ cases. Once your order has been processed, we’ll verify your payment details. This can take up to 24 hours. General handling time for most orders is 3-6 working days. Once the item is dispatched, it should arrive within 3-5 working days as per AUS post and Fastway delivery schedule. For those who live outside metro areas or regional centres, delivery may extend to 7 working days. We'll email you tracking details for your order once it’s been dispatched so you can stay up to date with your delivery. 24 Months Australian Manufacturers warranty to be claimed either via us or the manufacturer. If the product is deemed faulty within 30 days of purchase, customer is entitled for a full refund. In case of fault after the 30 day period, customer is entitled to a product replacement or repair. 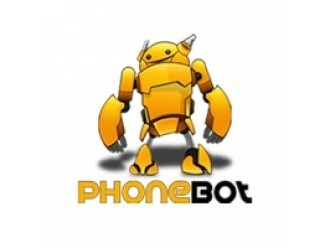 Refunds after the 30 day period will be issued on Phonebots discretion if repair or replacement isn't possible. 12 Months warranty to be claimed via us or the manufacturer. Leave your Email, We will notify you when this product will be available. Get yourself protected with Paypal’s 180 days of protection. Available in store, coming soon online.